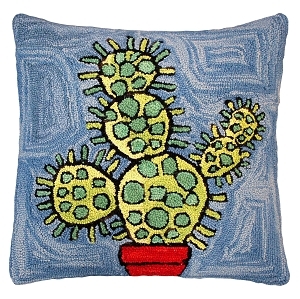 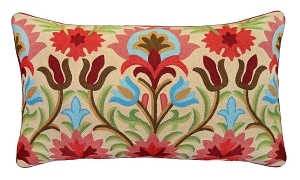 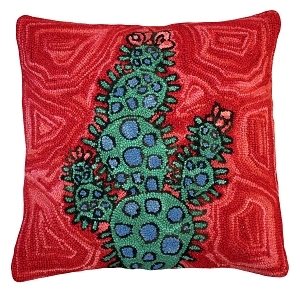 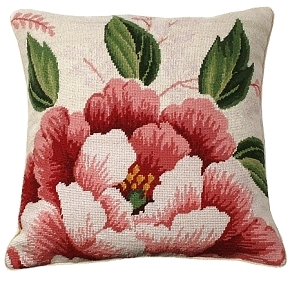 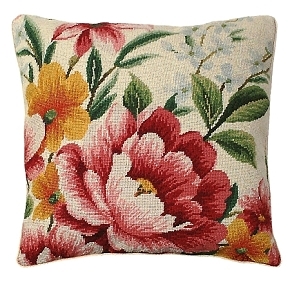 Jewel is a 20"x20" embroidered chain stitch pillow- a new technique for Michaelian Home. 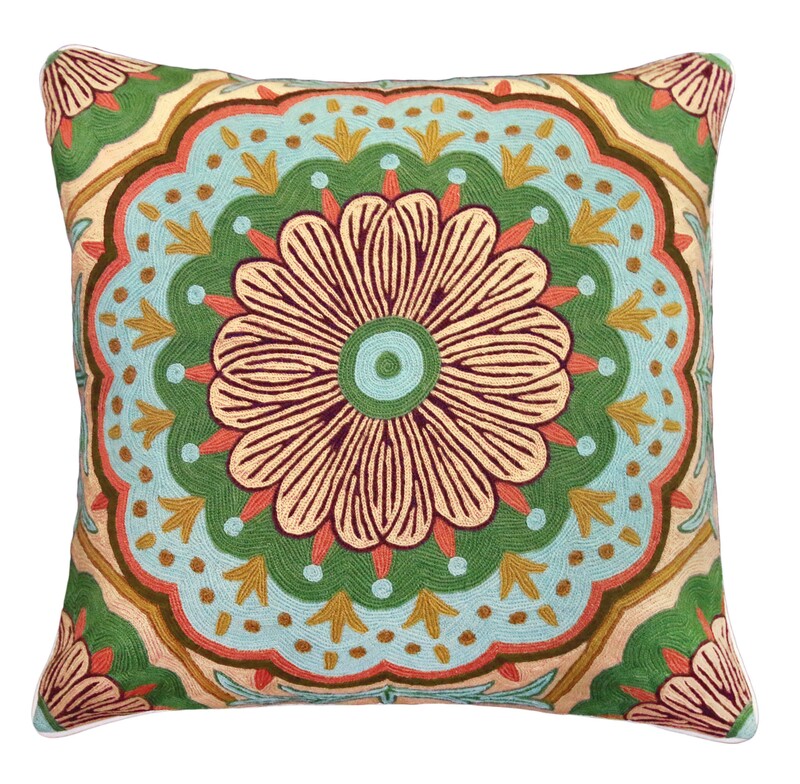 Large abstract flower medallion centered on pillow, all 4 corners capped with smaller floral accents. 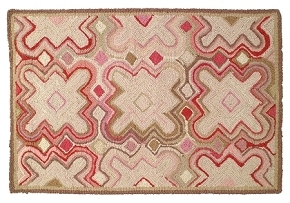 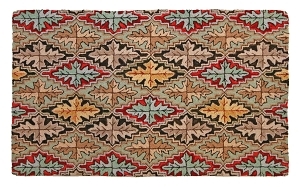 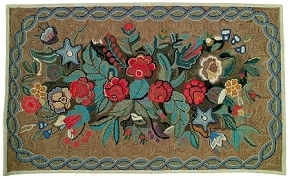 Green, blue, beige & gold accented with maroon and pink. 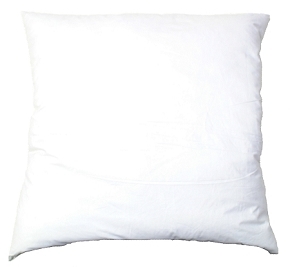 Backing fabric is white linen.